Be the envy of your neighbors with our impressive 2018 Hyundai Santa Fe Sport SUV shown in incredible Platinum Graphite. Powered by a 2.4 Liter 4 Cylinder generating 178hp while tethered to a 6 Speed Automatic transmission with SHIFTRONIC. You will be impressed with this Front Wheel Drive as you achieve near 27mpg on the highway. 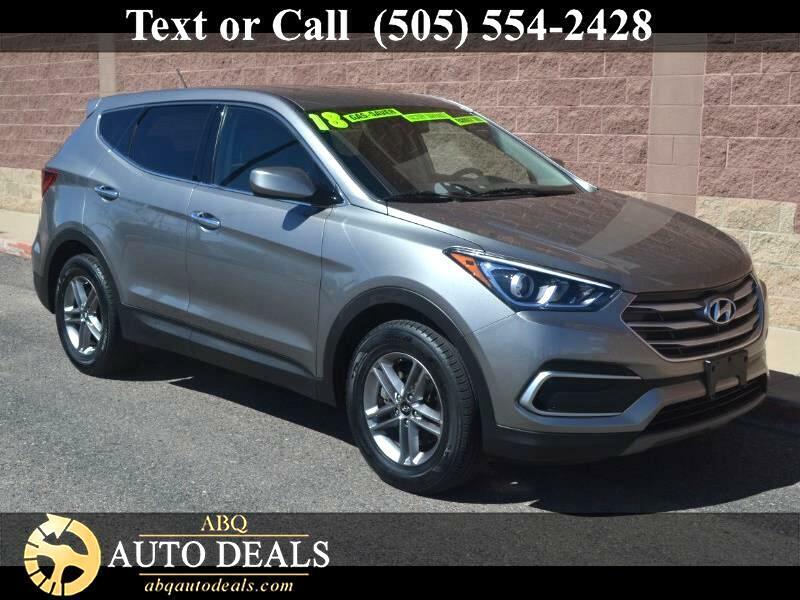 As you approach our Santa Fe Sport, you will notice the 17-inch alloy wheels, body-color rear lip spoiler with LED Center High-Mount Stop Light, projector headlights with LED accent, and chrome door handles. The welcoming Sport interior boasts YES Essentials stain-resistant cloth seats, air conditioning, Bluetooth, a fantastic 5-inch display 6-speaker audio system with CD and MP3, and full power accessories. Keyless entry and steering wheel mounted audio, cruise and Bluetooth controls make life so much easier with just a push of a button. You will enjoy peace of mind for you and your passengers with Hyundai's Vehicle Stability Management system, rear parking camera, and Hillstart Assist Control. Our Hyundai Santa Fe Sport continues to earn accolades from critics and consumers! This could be the smartest decision you'll make this year! Print this page and call us Now... We Know You Will Enjoy Your Test Drive Towards Ownership! Your buying experience with ABQ Auto Deals is our number one priority.